Another win!!! Dedicated to Mitzi, the late pussycat we catsat when we were in New York: The award for Best Short at this years New York City Horror Film Festival (USA). Here’s a fantastic Apple Tree review from The Ink And Code. 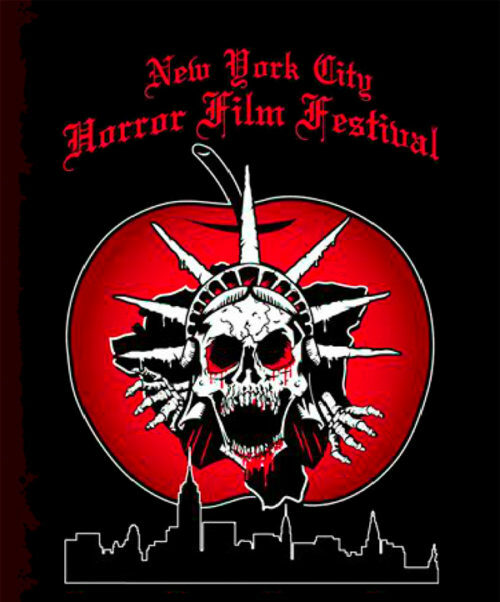 New York City Horror Film Festival was held on Friday, November 11th at 7:30 PM at Cinepolis Chelsea, 260 West 23rd Street NYC. America’s largest and most recognized genre film festival focusing solely on Horror and Science Fiction. 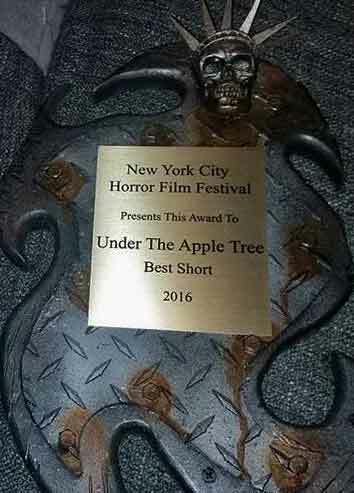 Each year the New York City Horror Film Festival celebrates both the horror classics we grew up with and the new horror films and filmmakers who created them. The New York City Horror Film Festival is the Halloween time event not to be missed, filling the city with special screenings, parties, celebrity guests and free giveaways.